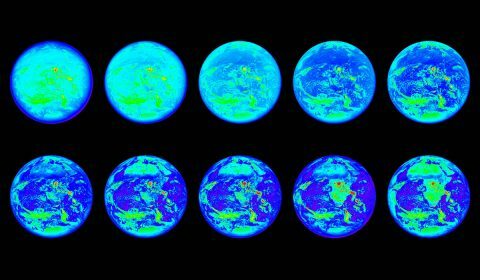 Pasadena, CA – Explore the plethora of planets outside our solar system with new multimedia experiences from NASA’s Exoplanet Exploration Program (ExEP). 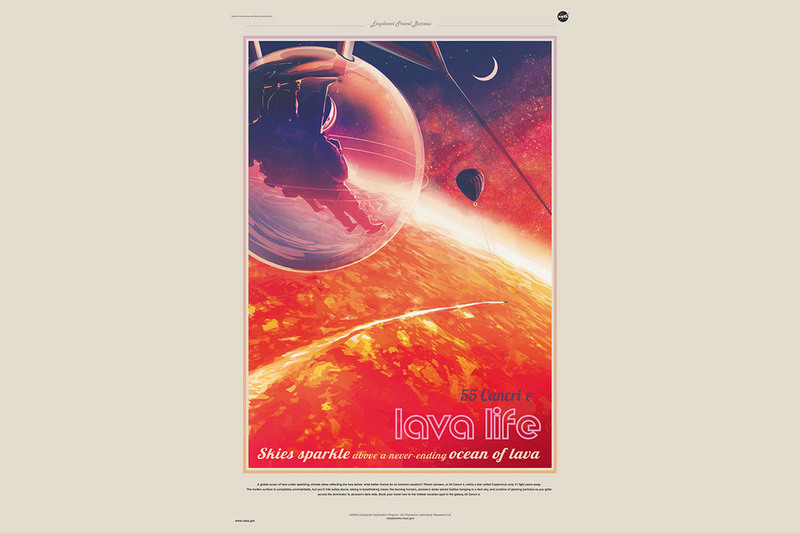 In addition to a new Exoplanet Travel Bureau poster celebrating a molten world called 55 Cancri e, space fans can enjoy a 360-degree visualization of the surface of the same planet, a multimedia journey into the life and death of planetary systems, and a major update to the popular Eyes on Exoplanets app. 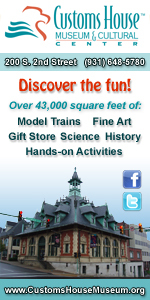 Baltimore, MD – Twinkle, twinkle, little star, how I wonder what you are. 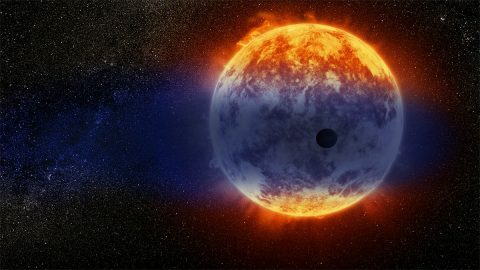 Astronomers are hopeful that the powerful infrared capability of NASA’s James Webb Space Telescope will resolve a puzzle as fundamental as stargazing itself — what IS that dim light in the sky? 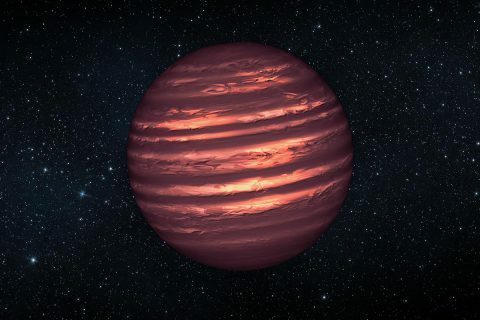 Brown dwarfs muddy a clear distinction between stars and planets, throwing established understanding of those bodies, and theories of their formation, into question. Several research teams will use Webb to explore the mysterious nature of brown dwarfs, looking for insight into both star formation and exoplanet atmospheres, and the hazy territory in-between where the brown dwarf itself exists. 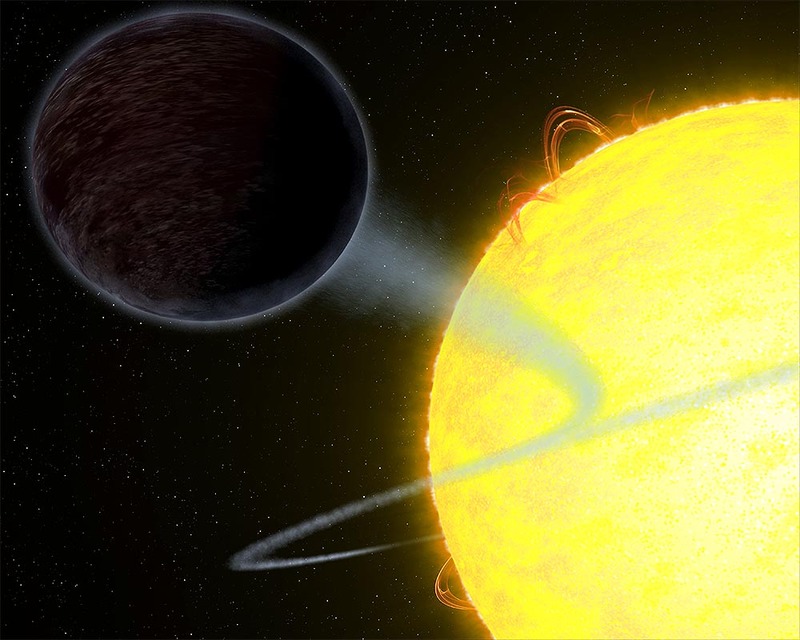 Greenbelt, MD – A NASA-led team has found evidence that the oversized exoplanet WASP-18b is wrapped in a smothering stratosphere loaded with carbon monoxide and devoid of water. 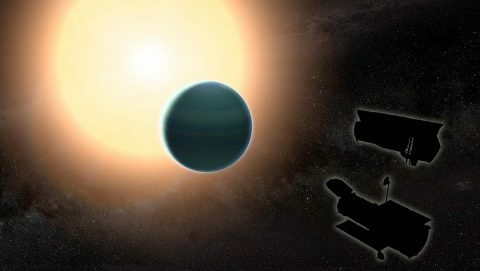 The findings come from a new analysis of observations made by the Hubble and Spitzer space telescopes. The formation of a stratosphere layer in a planet’s atmosphere is attributed to “sunscreen”-like molecules, which absorb ultraviolet (UV) and visible radiation coming from the star and then release that energy as heat. 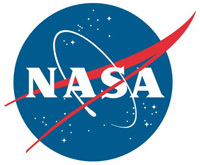 Washington, D.C. – As a young scientist, Tony del Genio of NASA’s Goddard Institute for Space Studies in New York City met Clyde Tombaugh, the discoverer of Pluto. That prediction was spectacularly wrong. In 1992, two scientists discovered the first planet around another star, or exoplanet, and since then more people have found planets than throughout all of Earth’s preceding history. 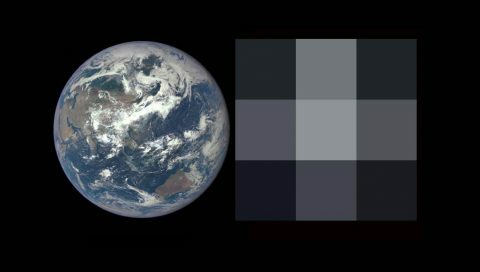 Baltimore, MD – NASA’s Hubble Space Telescope has observed a planet outside our solar system that looks as black as fresh asphalt because it eats light rather than reflecting it back into space. This light-eating prowess is due to the planet’s unique capability to trap at least 94 percent of the visible starlight falling into its atmosphere. 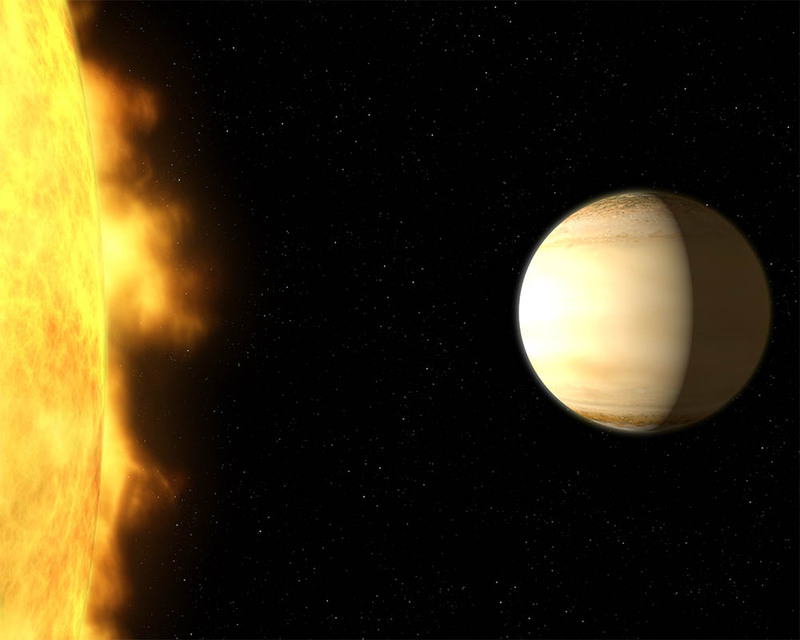 The oddball exoplanet, called WASP-12b, is one of a class of so-called “hot Jupiters,” gigantic, gaseous planets that orbit very close to their host star and are heated to extreme temperatures. 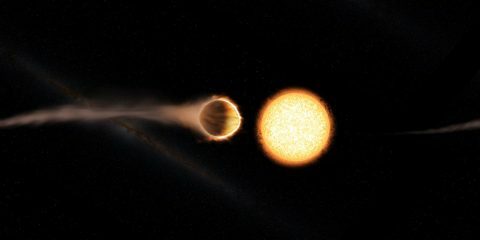 Greenbelt, MD – A study combining observations from NASA’s Hubble and Spitzer space telescopes reveals that the distant planet HAT-P-26b has a primitive atmosphere composed almost entirely of hydrogen and helium. 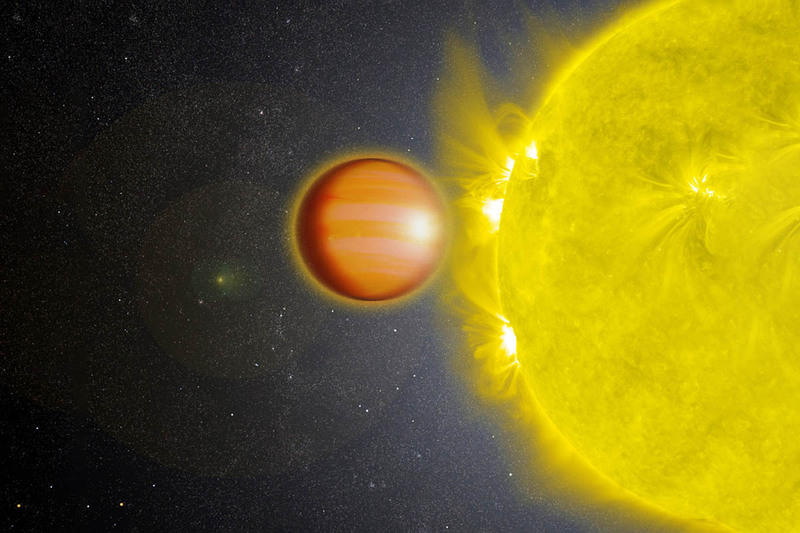 Located about 437 light-years away, HAT-P-26b orbits a star roughly twice as old as the sun.